Let’s start with the F-35 Joint Strike Fighter. Whatever your opinions of military procurement and spending, you can’t help to be impressed with the capabilities of this airplane. 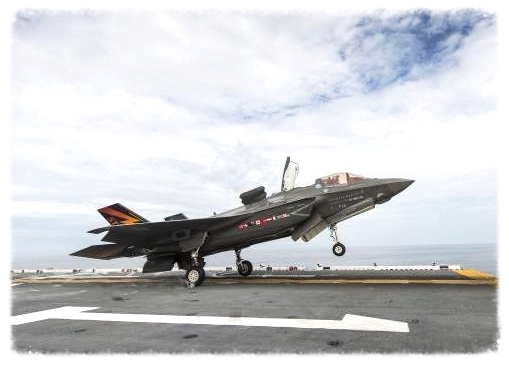 The F-35 is the most flexible, technologically sophisticated fighter ever built. By combining an advanced stealth design with fighter speed and agility, fully fused sensor information, network-enabled operations and advanced sustainment, the F-35 delivers innovative capabilities to meet security needs of the nation. If necessity is the mother of invention, a decade of combat provides a whole lot of necessity. The pace of change in the technical capabilities of unmanned aerial vehicles, and in the secure information system networks required to enable global command, is unmatched by any period in history. The United States dominates the air and can control any airspace on the planet because of these advances in technology. We have already seen many instances of military technology being adapted to make the lives of us civilians better. The GPS systems we all carry in our pockets is one clear example. I expect that technology transfer to continue with the next generation of innovation coming out of our recent combat experiences. Maybe then would we be able to justify a small portion of the staggering cost of these wars.